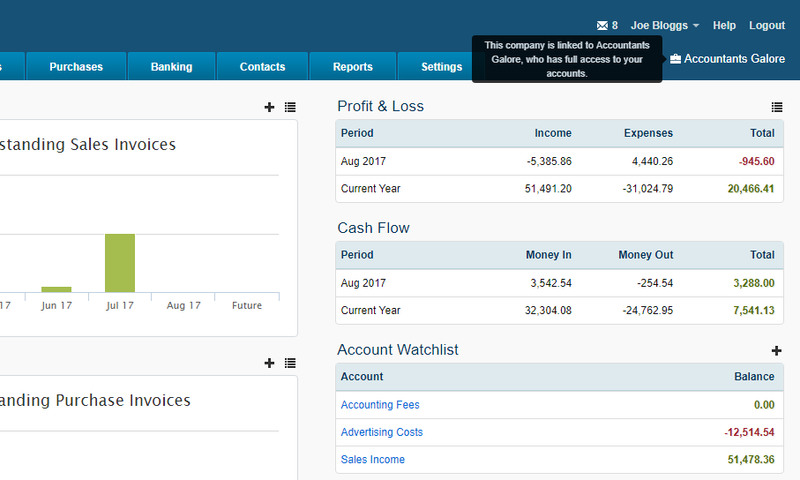 If your subscription is associated with one of our Accounting Partners (your organisation was initially set up by your accountant), the accountant’s details will now be displayed in the top right hand side of the screen just below your login information. Please keep in mind that Accounting Partners have full access to your organisation’s financial information. If you no longer use the services of the accountant, please notify us and we can remove their access accordingly. This is not to be confused with accountants that you may have given access by inviting them to be users from within the Settings of your organisation. You can remove user access in such cases as per the help document on User Permissions.